It’s a hard business to turn an old and adored film genre into something new and fresh; something that surprises the viewer and even breathes new life into the form itself. Even more difficult to perform that trick when there are creative limitations as to what can be shown onscreen, either due to the budget or possibly a country’s censorship restrictions. 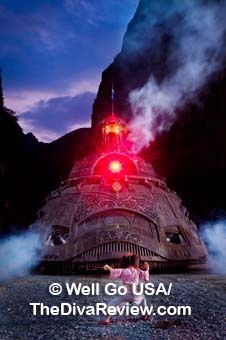 This is the challenge taken on and met full steam (-punk) by the new wuxia film, Tai Chi Zero. In the midst of an even battle, the military releases a secret weapon: A young peasant is called into the fray and doesn’t look like terribly much until a helpful friend cracks him on the head. That simple motion turns the man into much, much more. Watching “The Freak” in action, we understand that the phrase “one-man army” was clearly invented for this guy. His ability to plow through an entire garrison of fighters is invaluable to his generals, so when The Freak is put out of commission it is a grave blow to the troops. 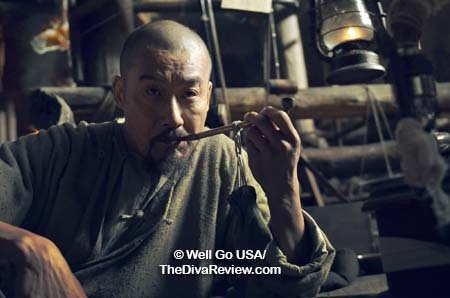 An elderly doctor forces the savant - otherwise known as Yang Lu Chan - to open his eyes and see how the damage he’s doing to the enemy is being reciprocated; his magic horn, a growth of flesh on his scalp that when struck transforms the boy into an unstoppable martial arts machine, is turning black. For Yang to go on with his whirlwind mode of battle means certain death. The doctor advises the young man to try another way and train to fight with a tai chi master hidden high in the mountains. Unfortunately for the eager would-be student, the clan to which the master belongs is notoriously secretive and does not allow its fighting method to be taught to outsiders. The Freak will not be dissuaded and doesn’t care how many times or how increasingly violent the refusals becomes, he’s going to learn. While Yang goes about infiltrating Chen Village, they face a much worse invasion by one of their own. 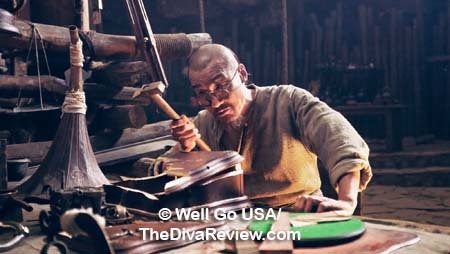 Fang Zi Jing has returned home from an education abroad full of new ideas to improve the life of his clansmen, but he cannot make his people get with the times enough to appreciate his modern inventions. He is rejected by the populace, who already looked down on him for having no tai chi skills. His spite for the old-fashioned folks boils over into full-blown betrayal as Fang plots with the government to annihilate the village to make way for a new railroad. Fang drives a huge locomotive - armed to the teeth and ready to plow - right up to the town gate. Even with their amazing martial arts abilities, can these simple people stand up against the giant, iron menace? 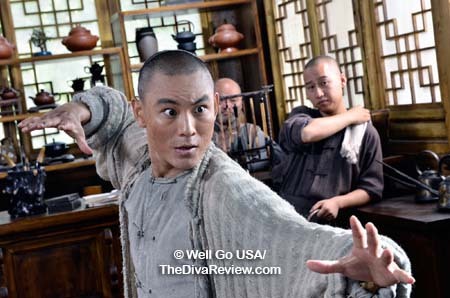 Will The Freak get to learn tai chi before the village is destroyed? Right from the start, Tai Chi Zero’s raging opening battle sequence and animated credits make our main protagonist, “The Freak,” Yang Lu Chan, look like a superhero from a Japanese manga. Indeed, when the horn-like deformity on the man’s head is hit, the blow activates the already agile warrior into something like a Shaolin Super Saiyan over level 9000. Actually, video game effects, music and sounds play a big part in Tai Chi Zero; amplifying its fantastic wire-fu and CGI wizardry. Animation and superimposed titles provide a lot of humour and clever exposition; they’re used to announce the big Asian stars and real-life martial artists making cameos throughout, like actress Shu Qi and Infernal Affairs director, Andrew Lau, who appear as The Freak’s parents in a sepia-toned, silent film flashback. 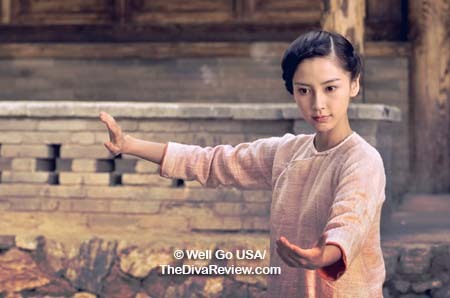 The onscreen captions also give the viewer helpful tidbits of info, like diagramming the various tai chi steps the village daughter, Chen Yu Niang and her neighbours use to defeat the indefatigable Yang time and again, and fills in some of the backstory: We know exactly how many unsuccessful attempts there have been by outsiders to learn the villagers’ tai chi. The gauntlet of masters sequence, where The Freak must conquer everyone from a lean, fit guardian at the gate, to an innocent-looking, pig-tailed grade-schooler in order to be let in to train is way too much fun. 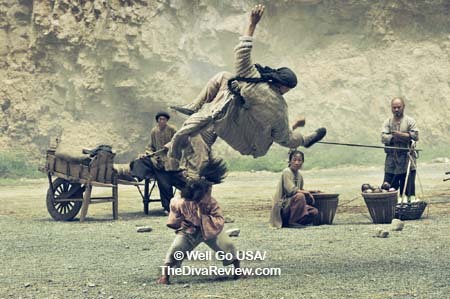 The fight choreography by the excellent Sammo Hung is brilliant, with the graceful, fluid tai chi movements a perfect and powerful counterpoint to the ramshackle mishmash of wild styles The Freak has assimilated over time. I know I’ll never look at old Chinese ladies doing their early morning tai chi moves in the park the same way again. 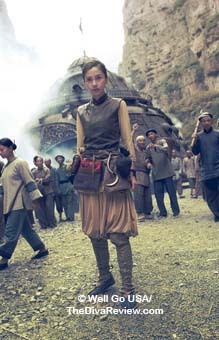 Amidst pros like Tony Leung Kai Fai as The Freak’s mysterious benefactor, Angelababy as Yu Niang, Eddie Peng as Fang Zi Jing and Bruce Liang as the wise doctor, 2008’s Olympic wushu gold medalist, Yuan Xiao Chao (or Jayden Yuan in the credits) makes a good showing in his movie debut as the hapless, kung fu-obsessed hero. The only down sides of the story are relatively minor. The love triangle subplot between Yunian, Fang and the foreigner Fang hooked up with while overseas slows the film’s momentum. Yu Niang and Fang appear so perfectly matched at the beginning that the hapa interloper who followed Fang from Europe just seems in the way. Feng‘s attachment to the Western girl feels like a forced plot device meant to provide fuel for the inevitable sequel. Also, for a movie based around an era highlighting the West’s encroaching modernity into China, there’s not a tremendous show of technology but for the metal behemoth at the gate. 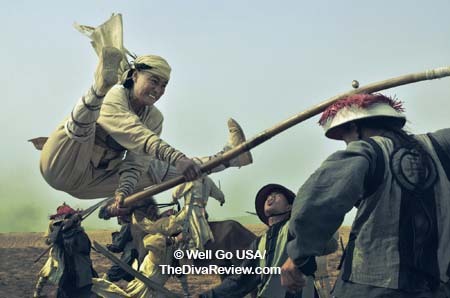 Still, director Stephen Fung’s very cool use of contemporary special effects, music and editing is a welcome subversion of the current Chinese film industry’s seeming inability to produce any Wuxia movies that aren’t period pieces. Rolling with the post-modern audacity of a Stephen Chow movie, Tai Chi Zero uses a similar fourth wall-breaking technique that amuses both the audience simply there to see an entertaining action story and more die-hard Asian film fans who will appreciate this mix of the old with the new. 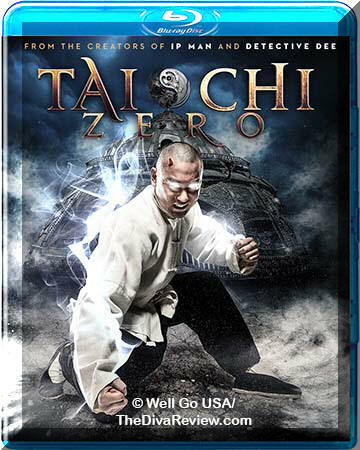 Steam-powered by its energy and fun, the ingenious and clever Tai Chi Zero ticks along nicely, breathing fresh life into an old genre. On the Blu-ray: Not exactly teeming with extras. There’s a Behind-the-Scenes short that expounds on the steampunk aspect of Tai Chi Zero. However, but for the “Troy No. 1” locomotive seen in this film, it seems the majority of the clockwork inventions shown in the clip will appear in the upcoming sequel, Tai Chi Hero. We get glimpses of that second movie in both the short and the credits of the film. There’s one music video, three trailers and that’s it. The audio options are the original Mandarin track as well as an English dub in both 5.1 Dolby Digital and 2.0 Stereo.